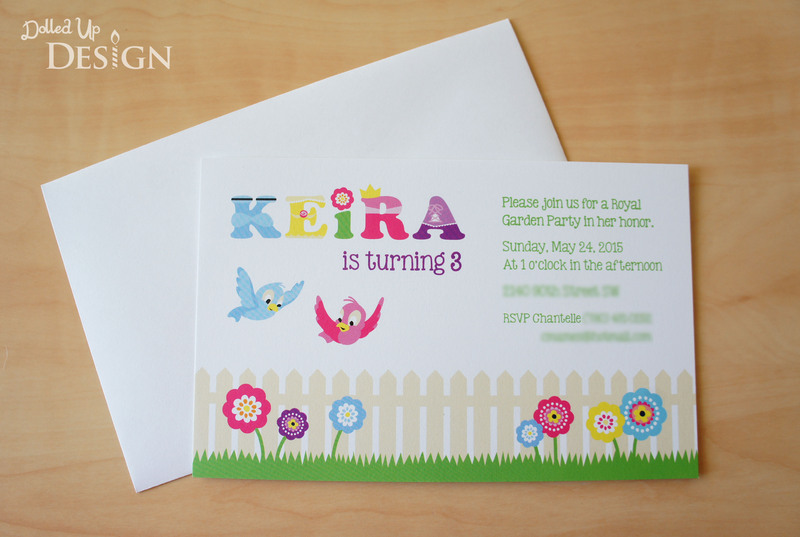 I began, as always, by designing the invitation and working from there. 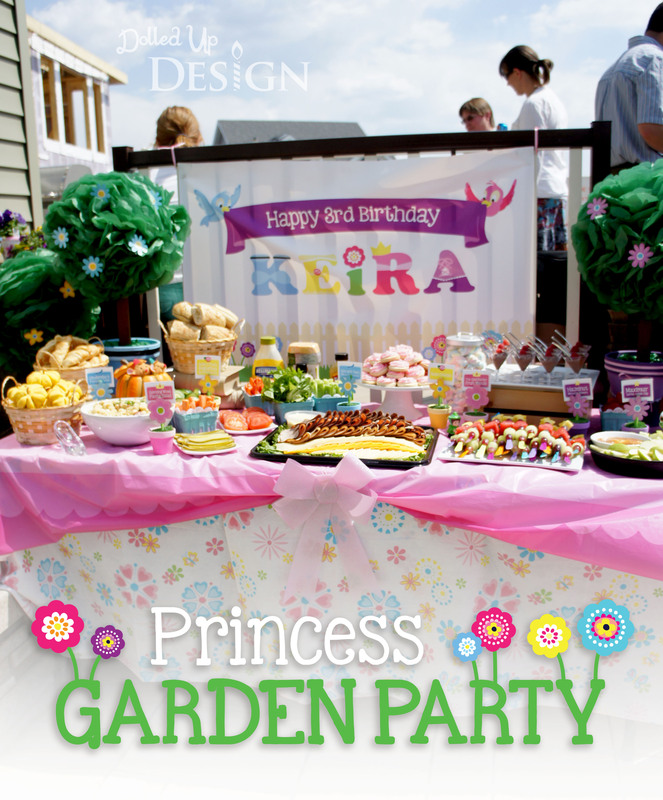 I tried to focus more on the garden aspect so the party wasn’t completely overtaken by the princess theme. I printed my invites through Vistaprint, as well as a matching banner for my table backdrop. I have ordered from them several times now and have always been very pleased with my final printed products. Flanking the banner are the tissue ball topiaries I created. 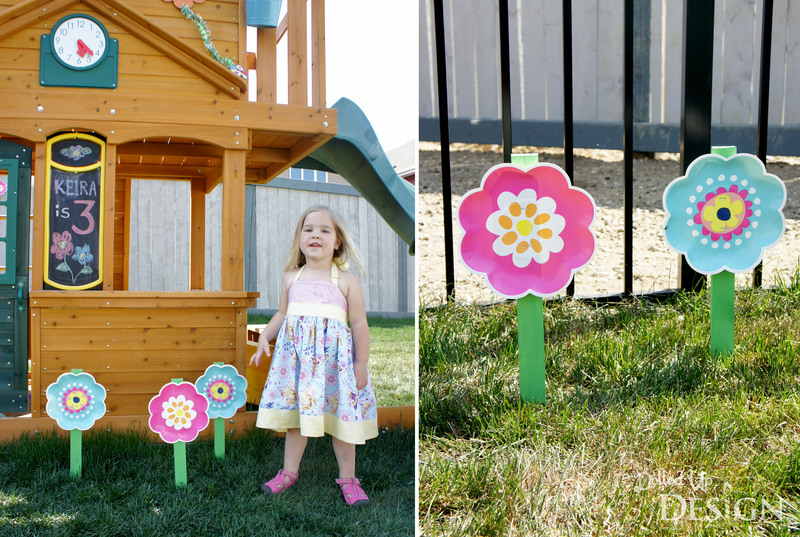 They were the perfect touch in the princess dress inspired terra cotta pots I hand painted and decorated for the party. 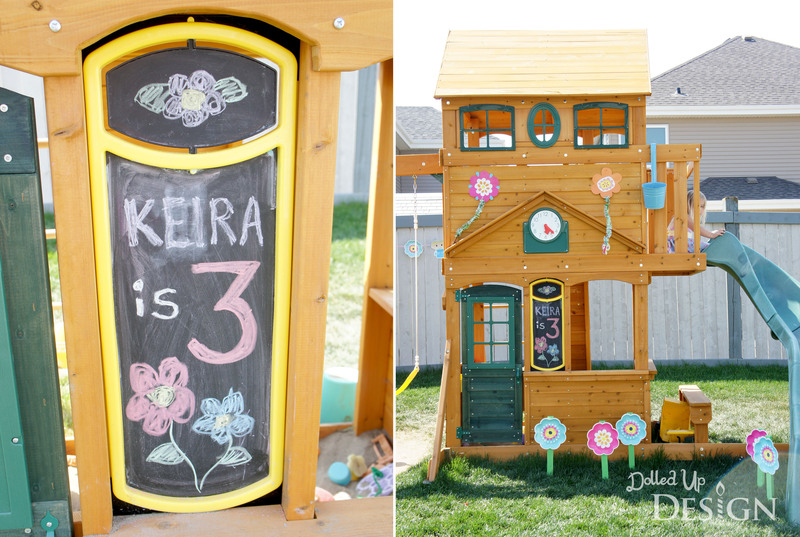 My husband and I spent a lot of time on the weekends leading up to the party readying the yard, and planting flowers and bushes throughout our flower beds and planter boxes. 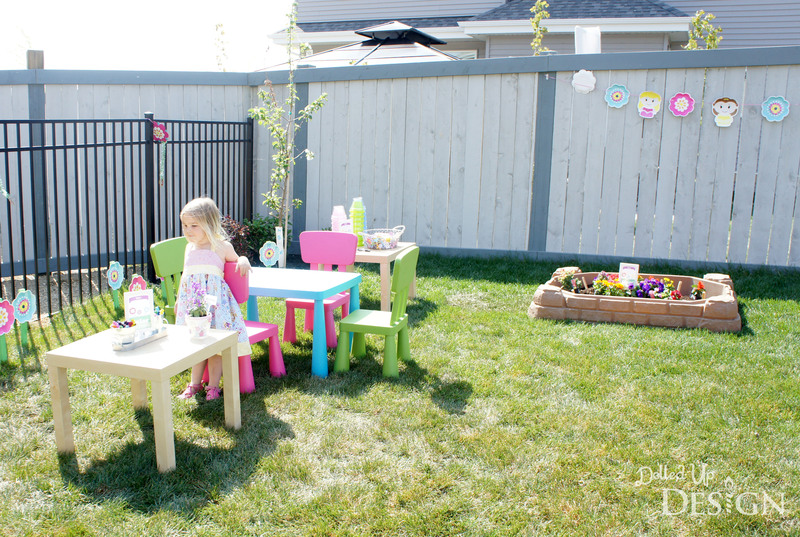 It is pretty hard to believe that our yard was nothing but bare dirt at this same time last year! 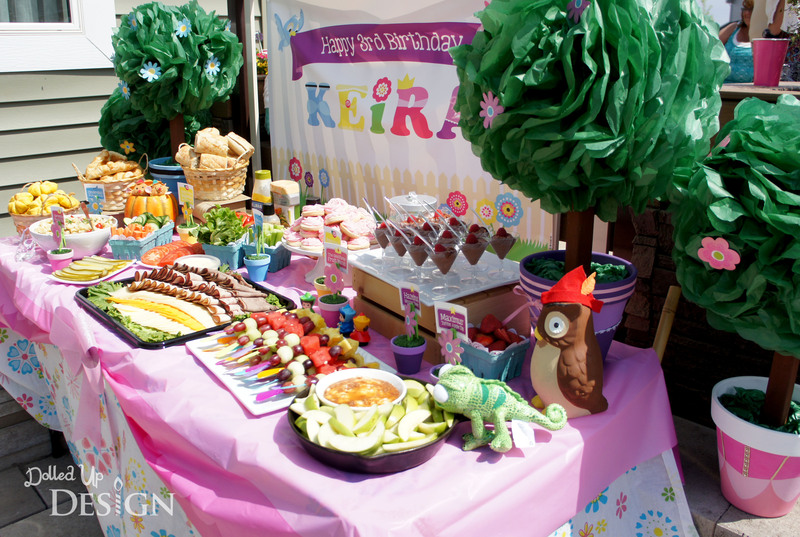 It all looked great, but I still went ahead and added a few other decorations for the party including banners along the fence and some colorful paper flowers popping out of the ground. 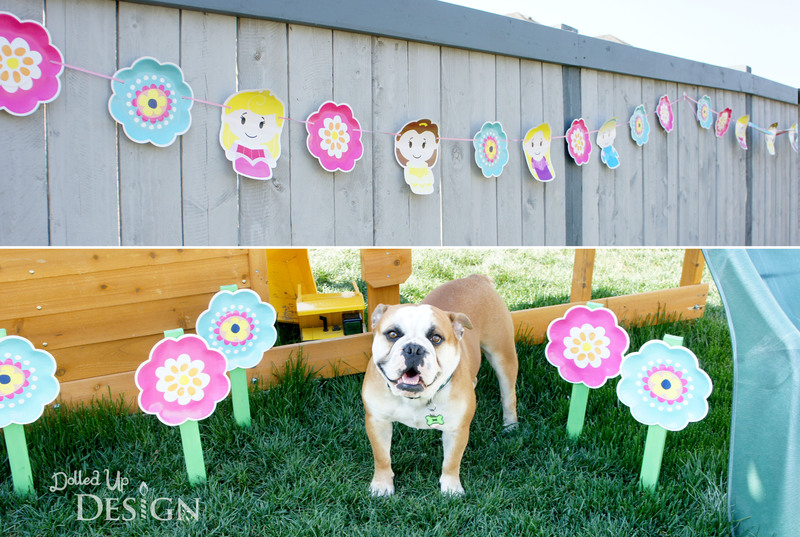 The flowers I used for the banner and stapled to the stakes I poked into the ground were nothing more then paper plates I found at Dollar Tree. 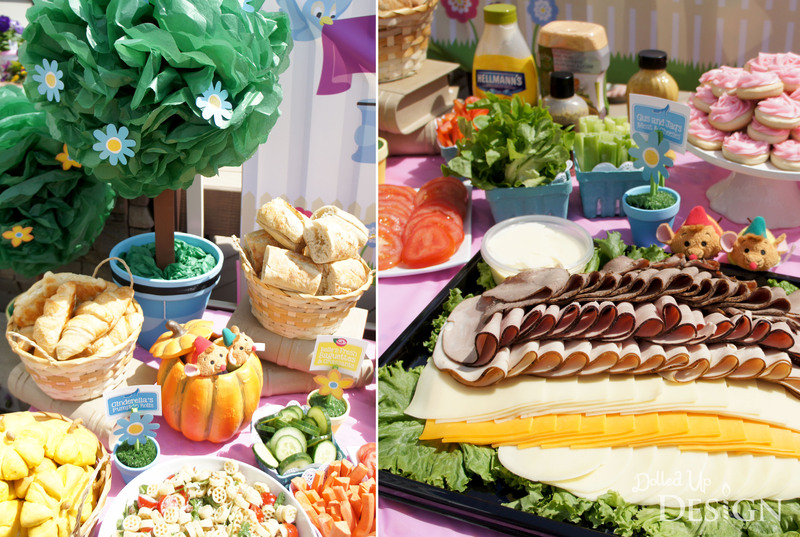 I love using paper plates for decorating and these made it so cheap and easy to add a great little pop of color and whimsy to my garden party. 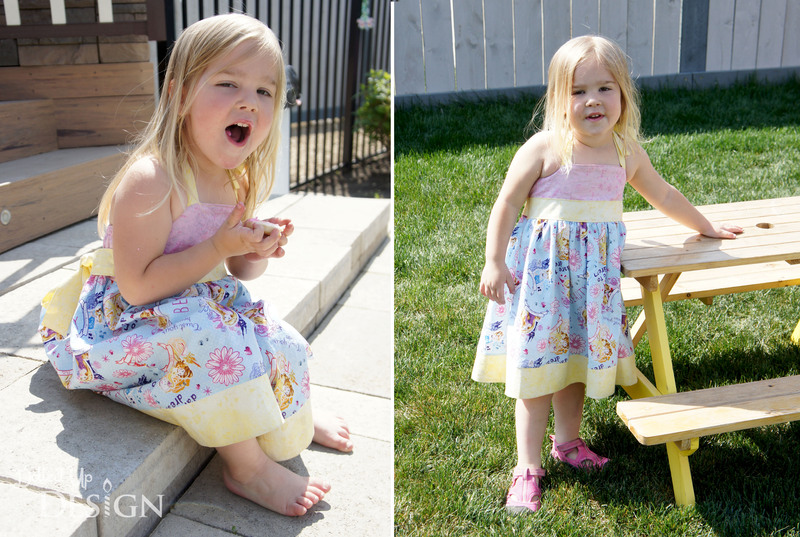 For the party, I ordered my daughter this lovely custom dress from Sew Sweet Boutique. As soon as I saw the princess fabric with the 4 same princesses I had chosen for my party, I knew I had to order a dress. The owner was lovely to work with and the dress couldn’t have been cuter. Keira was so excited to get into the dress the morning of her party! 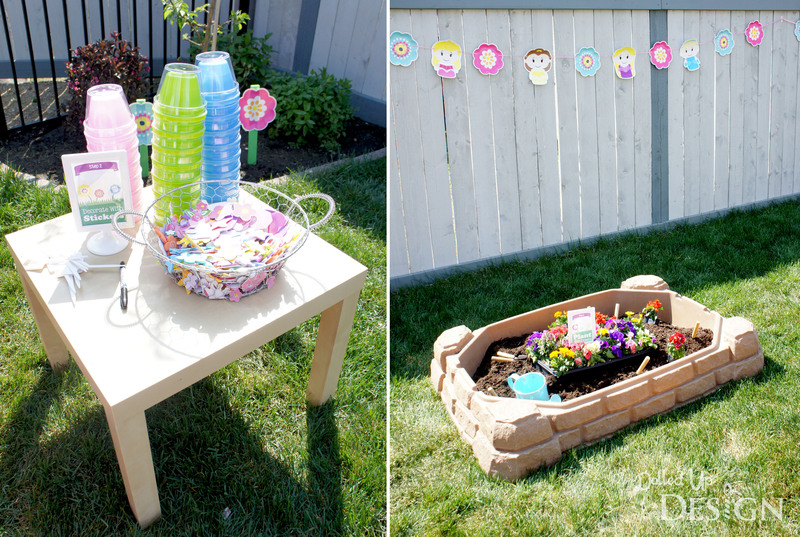 In keeping with the garden theme, I decided to have the kids decorate flower pots and plant flowers as an activity. 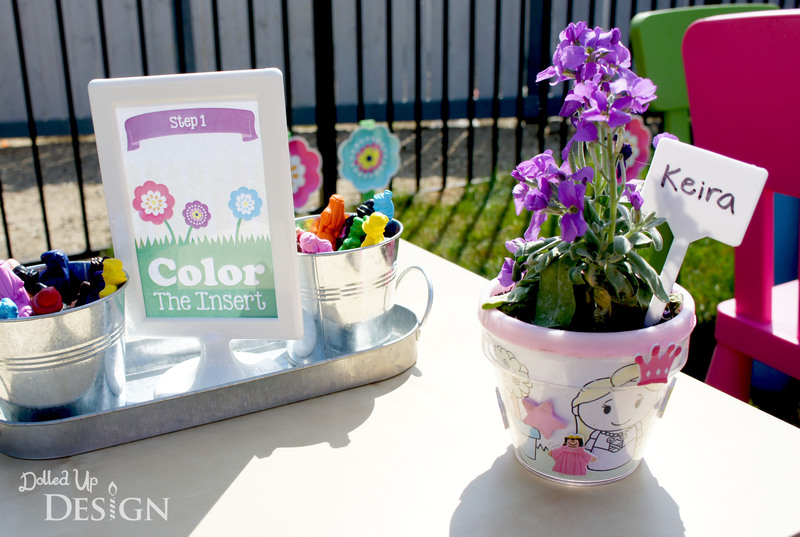 I found these great plastic pots from openaparty.com and loved that the kids could just color my custom designed paper inserts with markers or crayons rather then the much messier option of painting a terra cotta pot. The kids all seemed pretty excited to do the activity and their pots all turned out really cute. 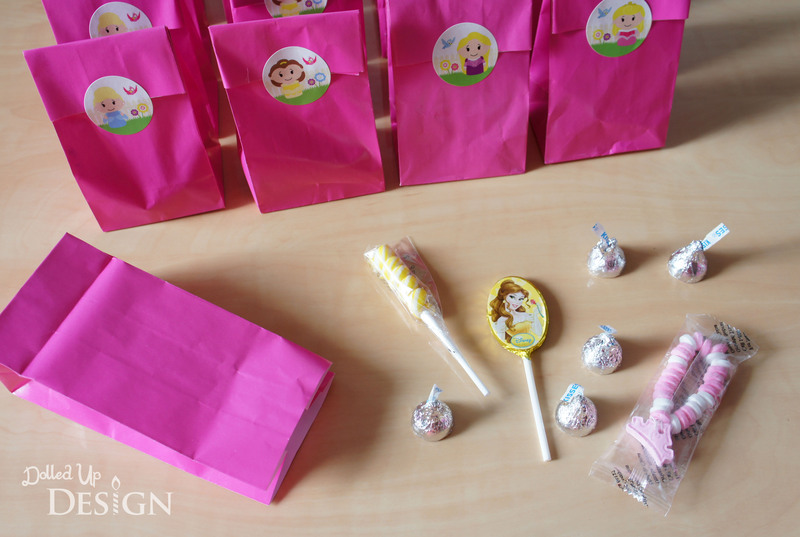 I used them as the favors for each child to take home alongside a small bag of princess themed candy. 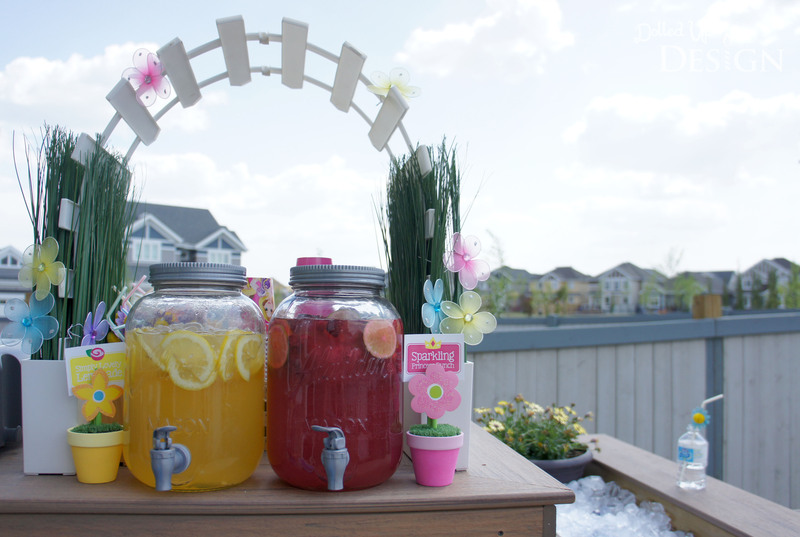 Drinks were served on the deck from beneath an adorable little garden arch I created from plastic white picket fence and a couple decorative containers of fake grass I had previously bought at Ikea. For food, I wanted something fairly simple so I decided to order a deli platter from Costco and go with a make your own sandwich bar. 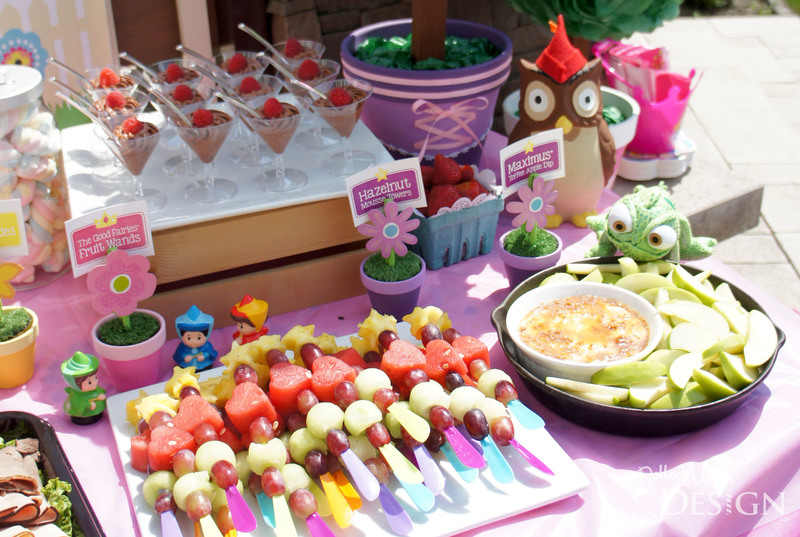 And, of course, there was a selection of other princess themed foods and sweets. I will be detailing these and sharing recipes in an upcoming post! 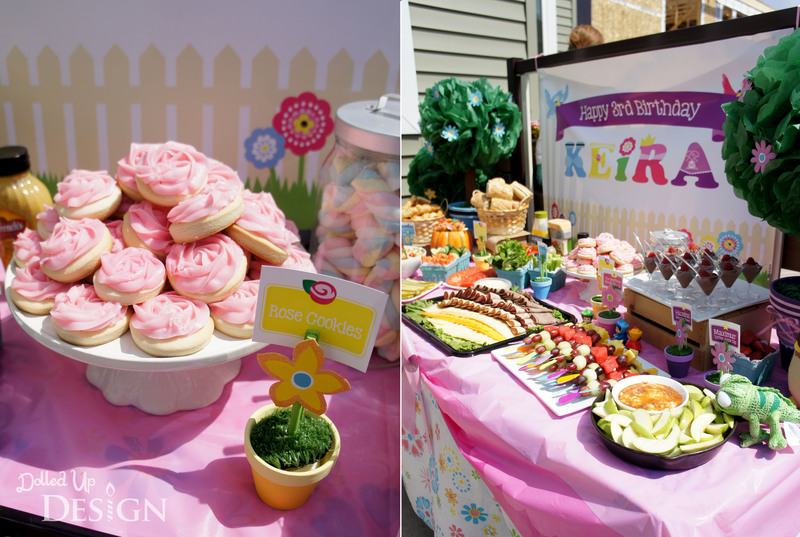 Finally, you can’t have a party without cake! I took the easy way out this time around and ordered a Dairy Queen ice cream cake. It was a nice treat on a hot day and the plastic figures and decorations matched my theme perfectly. I had a lot of DQ cakes at my party’s growing up so it was also a nice little throwback to my childhood. 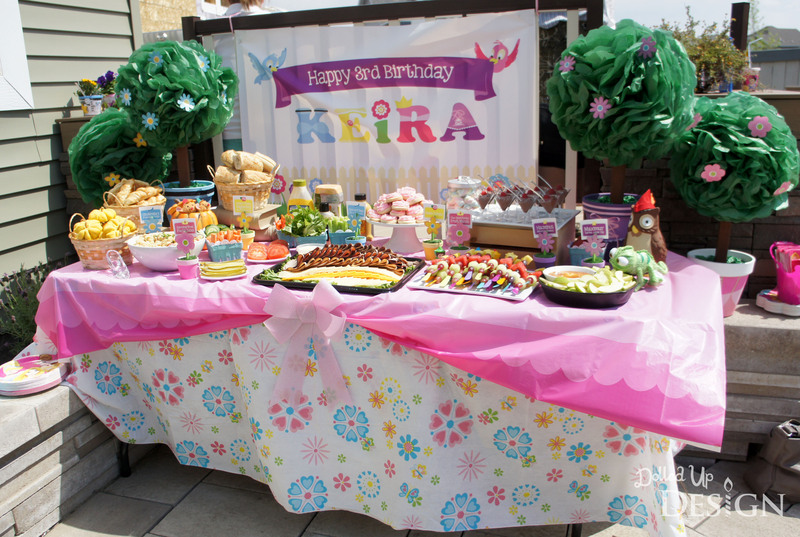 The party was a whirlwind of activity and the time passed way quicker then I expected. Every time I saw my little guest of honor she had changed into yet another princess dress from her extensive collection and had a big grin on her face. 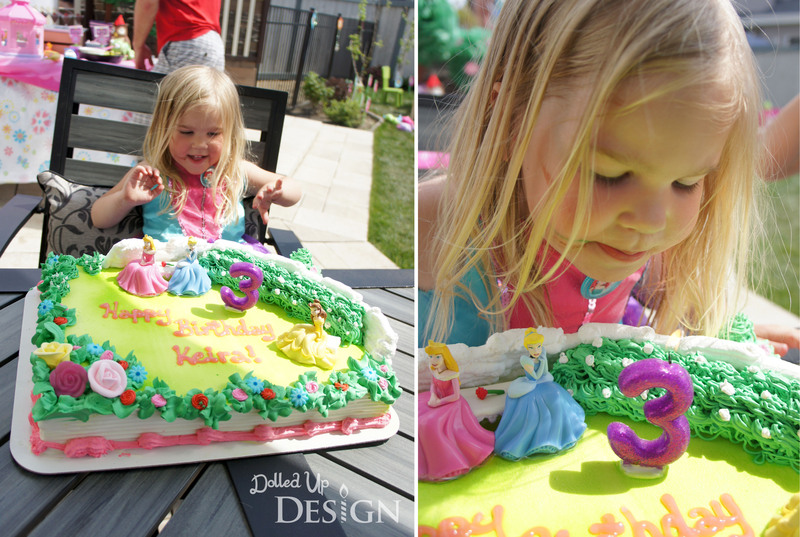 She was very happy to have all her friends over to her house to celebrate with her and I was proud to be able to use my creativity and skills to help make special birthday memories for my sweet little girl!